Turks angered by the deportation of Uyghurs to China protest outside the Chinese embassy in Ankara, July 9, 2015. The Thai government on Thursday rejected a claim by the World Uyghur Congress that at least 25 men among a group of nearly 100 Uyghurs had been killed when they resisted moves by authorities to forcibly repatriate them to China. 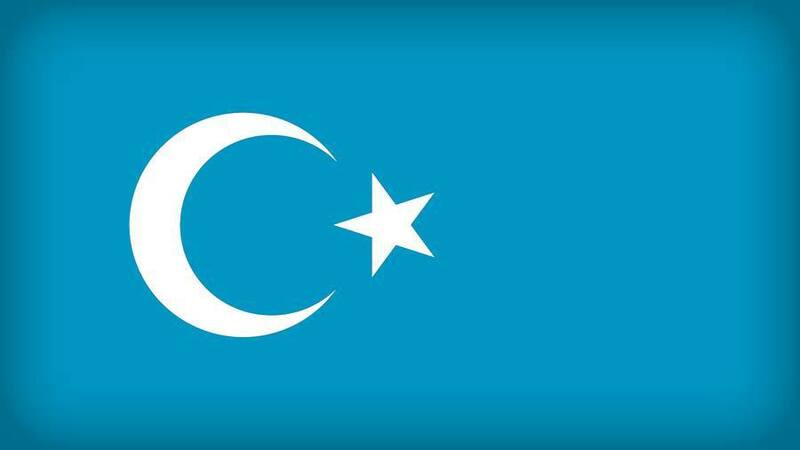 Thai authorities confirmed Thursday it had forcibly repatriated nearly 100 Uyghurs to China, a move that drew criticism from human rights groups and protests in Turkey over the expulsion of the Turkic-speaking Muslim minority that suffers harsh repression under Chinese rule. The Munich-based WUC appeared to have removed the claim about the killing hours after publishing the statement on its website Thursday. The group had a day earlier accurately reported the impending expulsion of the more than 90 Uyghurs. Another Thai government source, speaking on condition of anonymity to RFA, also dismissed the WUC claim. “It is not true. There was no killing as claimed by the WUC,” he said, adding that Thai authorities could provide video evidence to show that there was no deaths in the run up to the repatriation. I believe we can prove this with sort of evidence, perhaps video footage, which I believe we may have during the operation,” he said. The WUC said in its statement that a first plane was loaded primarily with women and children, along with a small group of men, and departed without incident. It said that in the process 25 men were killed. Later, the paragraph on the killing was removed from its statement on its website. Wednesday’s forced deportation followed the resettlement in Turkey last week of 173 women and children from among the detainees in Thailand, following long-lasting negotiations between the two countries. Figures given for the overnight deportation through a military section of Bangkok’s main airport have ranged from 90 to 108. Thai officials said another 50 Uyghurs remained in the country awaiting determination of their status. The Uyghur arrivals in Turkey were among about 370 Turkic-speaking, Muslim Uyghurs held in Thai government-run refugee detention centers in Padang Besar—in Songkhla province’s Sadao district—and the cities of Bangkok, Rayong and Trat, since March 2014 in what visitors have described as cramped and unhygienic conditions. Many have complained of worsening conditions and poor food quality, and detainees held a hunger strike in January to demand authorities improve the situation at the Padang Besar facility. One ethnic Uyghur boy detained there died last December after contracting tuberculosis. The detainees had remained in limbo more than a year into their detention, with Beijing demanding they be repatriated to China. Thailand, run by a military junta that has suspended democracy and is accused of human rights abuses, appeared uncomfortable being caught in a dispute among China, the Uyghurs who have been fleeing repression in increasing numbers and Turkey, which has offered hundreds of Uyghurs safe haven in recent years. “(If) they (Uyghurs) want to fight their way, just do it, but why cause friction between Thailand and Turkey, China or Uyghurs?” Gen. Prayuth Chan-ocha, Thai prime minster, told reporters in Bangkok on Thursday. Those Chinese pledges are not taken seriously by human rights experts, who point to decades of systematic repression in the Xinjiang Uyghur Autonomous Region, as that region is formally called. “This is akin to sentencing them to the worst punishment imaginable. Time and time again we have seen Uyghurs returned to China disappearing into a black hole, with some detained, tortured and in some cases, sentenced to death and executed,” said Nicholas Bequelin, Regional Director for East Asia at Amnesty International. “Deporting these people is a despicable act, and illegal under international law. If the Thai authorities go ahead with any further deportations, they will be putting the lives of many at risk,” he said in a statement issued by the London-based rights watchdog. In recent years, hundreds of Uyghurs have been leaving China to escape persecution and repression by authorities and loss of land to settlers from eastern China. Chinese authorities have blamed an upsurge of violence in Xinjiang since 2012 on terrorists and Islamist insurgents seeking to establish an independent state, and have cracked down on Uyghur religion and culture. Reported by RFA’s Uyghur Service. Written in English by Parameswaran Ponnudurai and Paul Eckert.